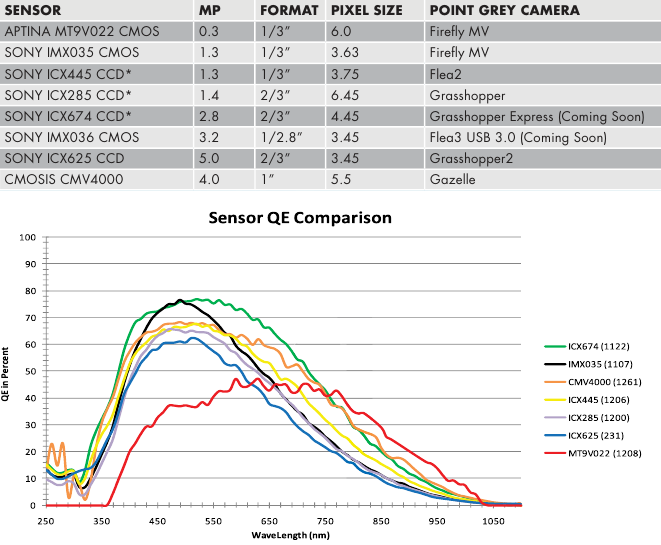 Point Grey added QE spectral chart for the 1" CMV4000 CMOS sensor made by CMOSIS to their latest comparison document: [rk:thumb src="nauka/cmosis4000. As you can see the QE of CMV4000 is quite good and it may turn out as an ultimate H-alpha Solar (and Lunar) sensor - 1" size providing 2048x2048 frame. It will be available in Basler Ace (GigE, Camera Link) and Point Grey cameras.